Are you ready for exciting careers? We have dedicated team of professionals help you reach your goal. The world is complex and thrives on competition. Its necessary to strike the right opportunity at the right time. Looking for that one right opportunity. Your Search ends here. Nascent Global Dedicated recruitment and Marketing Team just has one Goal- To help you get a Job that is focused on your career growth and advancement. 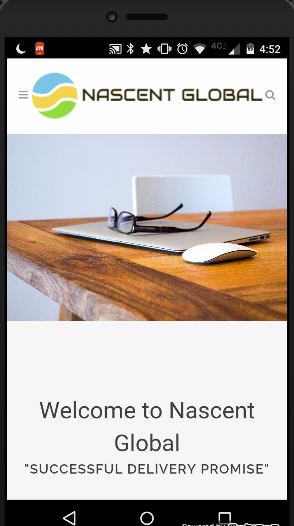 Come Explore the world of opportunities with Nascent Global! Our Partners and Clients are in constant search of dedicated and talented professionals like you. Come Join us and experience a whole new world of IT careers. Well established company looking for a QA Tester to join a growing team. The Quality Assurance Automation Tester will be responsible for implementing automation for various platforms across the organization. The ideal QA candidate will have 2+ years of QA Automation experience, and have significant experience with writing automated tests, programming, and web technologies. We are looking for a Business Analyst to join a growing team.A business analyst will analyze an organization and business domain and documents its business or processes or systems, assessing the business model or its integration with technology. We are looking for experienced user researchers and designers. We are rapidly expanding to solve a variety of industry problems under a trusting leadership that encourages risk-taking. This is an exciting time to join us!